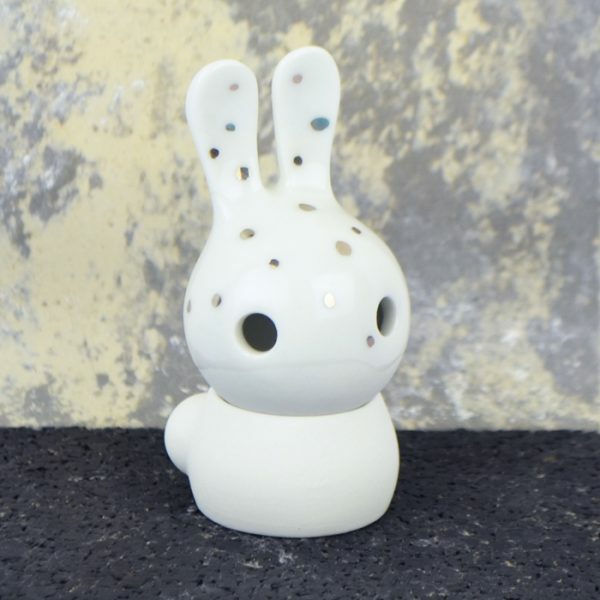 Adopting a cuniculus from the special collection means bringing a true eyecatcher into your home. 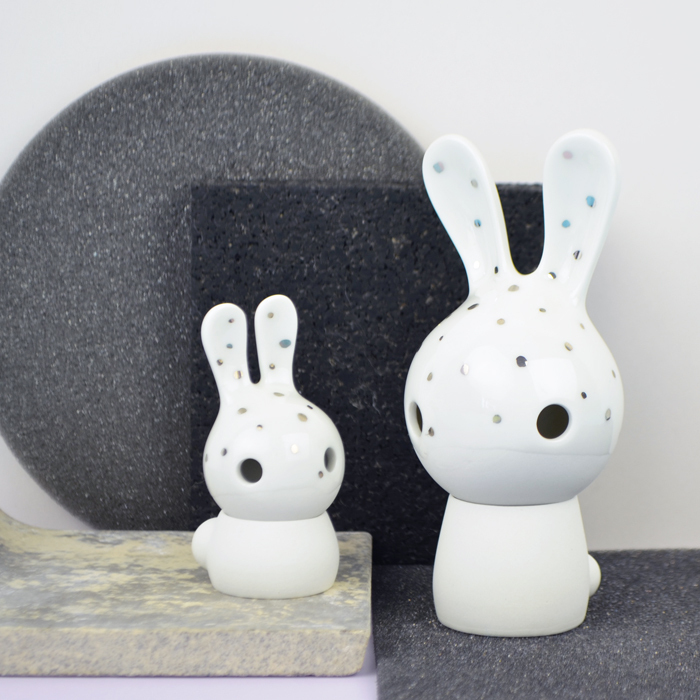 The special collection of the cuniculus family is made with special techniques, great precision and a lot of patience. 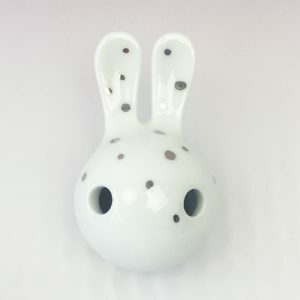 Therefor all these porcelain bunnies are unique, no two are alike. 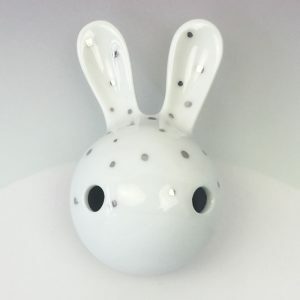 This bunny was (half) glazed before it got it’s tiny shiny dots. 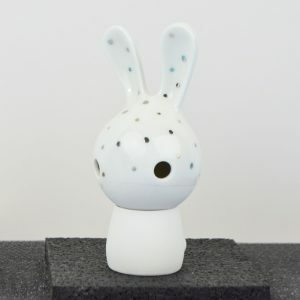 We painted the dots by hand with a platina luster. Isn’t it a beauty? material: porcelain partly glazed, hand painted with platina luster.